Our 12 Brands of Christmas giveaways feature our top and favorite brands. 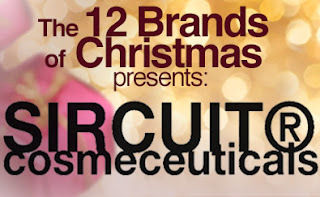 SIRCUIT Skin Cosmeceuticals is definitely an office and customer favorite. Chirally correct ingredients that work with the body, not against it. All products provide longterm anti-aging results, some with immediate results. Multi-tasking products to target multiple concerns at once. Highly concentrated for potent results - you can use less (than you would of other products) to get more (better results)! Youth Accelerator+: This pumpkin enzyme peel, used once a week or every other week, instantly makes our skin brighter, tighter and glowing. Not to mention, it smells so good! X-Trap+: About 1/2 a pump of this cleanser mixed with water is all you need, so it really goes a long way and works for all of us around the office - sensitive, dry or oily skin types. Sircuit Agent+: An anti-aging serum that also targets hormonal breakouts?? We were instantly on board with this one and see immediate results that treat breakouts, balance skin, and fade discoloration. Secret Sauce+: This incredible moisturizer provides "botox-like" effects, smoothing and plumping skin. Who doesn't want that?! 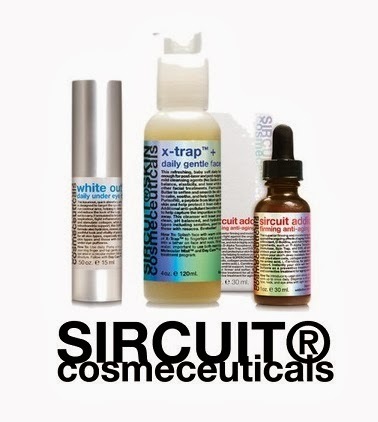 Sircuit Addict+: This firming anti-aging serum is another one that works for all skin types. Exclusive ingredient Spin Trap actually finds damaging free molecules and converts them into healthy oxygen molecules for your skin. We all love it because it prevents aging AND corrects any existing fine lines and wrinkles. To sum it up, SIRCUIT Skin Cosmeceuticals is your all in one skincare system. With highly advanced and exclusive cutting-edge ingredients, you can dramatically improve the health of your skin and in turn, it's appearance. Products offer preventative and corrective treatments for immediate and longterm results. Plus, you can trust that the products are safe, potent, and due to high concentration, they definitely provide the best bang for your buck! Wanna enter to win? Just click HERE! (you will need to sign in to your Facebook account to view the giveaway). For more information on our 12 Brands of Christmas promo with your chance to win THOUSANDS in GRAND PRIZES, FREE professional advice, games, and more check out our Facebook page. I just recently discovered Sircuit from a sample I received...and LOVE it! Hoping to win!